Musicians of all backgrounds are welcome to join CMSA and explore the wide range of mandolin music encompassed by the term “classical”. While the focus is on mandolin-family instruments and the guitar, players of other instruments traditionally part of the mandolin orchestra, such as the bass and accordion, are encouraged to join. Your membership helps to support North America’s only organization promoting and nurturing the art of classical mandolin and the mandolin family of instruments. Membership provides access to music composed for mandolin and mandolin orchestra and assistance in starting a mandolin ensemble in your area. As a member, you receive an annual membership directory with contact information to help you find other mandolinists in your area. The CMSA annual convention is a chance for members to meet, exchange ideas, and perform, as well as to learn from and be inspired by leading professionals. The convention is held each fall in a different location in North America. Conventions feature today’s top international mandolinists and guitarists presenting superb concerts and daily workshops covering diverse topics related to the mandolin, the mandolin family of instruments, and guitar. In addition to the classical style, performers are representative of diverse musical styles–for example, jazz and choro–helping to broaden the attendee’s musical experience. Activities are included for all levels of players. Conventions offer many playing opportunities, including the En Masse Orchestra, “open mic” concerts, and after-hours sessions. 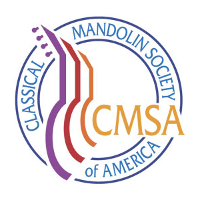 CMSA’s membership year runs from January 1st through December 31st. All renewals are due by December 31st each year. Completing your membership form online is efficient and secure. If you prefer, complete a paper application form (PDF). Eligible to register for the annual CMSA convention. Apply for a student scholarship!